By Dale Gibson, Emeritus Professor of Law, University of Manitoba. The General Quarterly Court of Assiniboia can justly be called the first ‘British’ court in western Canada. Although there were predecessor institutions and judicial arrangements for hearing criminal and civil cases, the establishment of the Quarterly Court in the 1830s put the administration of justice in the Red River region on a firm and regularised footing. 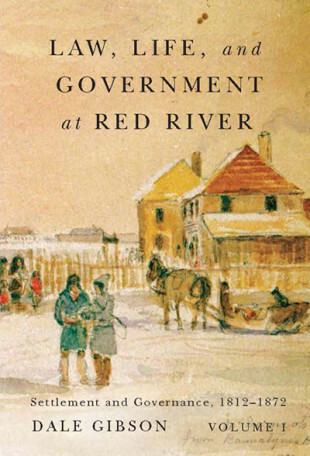 Professor Gibson’s comprehensive history of the Court weaves together the legal history of Red River with its social, economic, and political history. At the centre piece of this book sits the complete court proceedings of the General Quarterly Court from 1844 until 1872, which are examined in detail and in context to provide a compelling narrative of the administration of substantial rather than formal justice in a Company community.